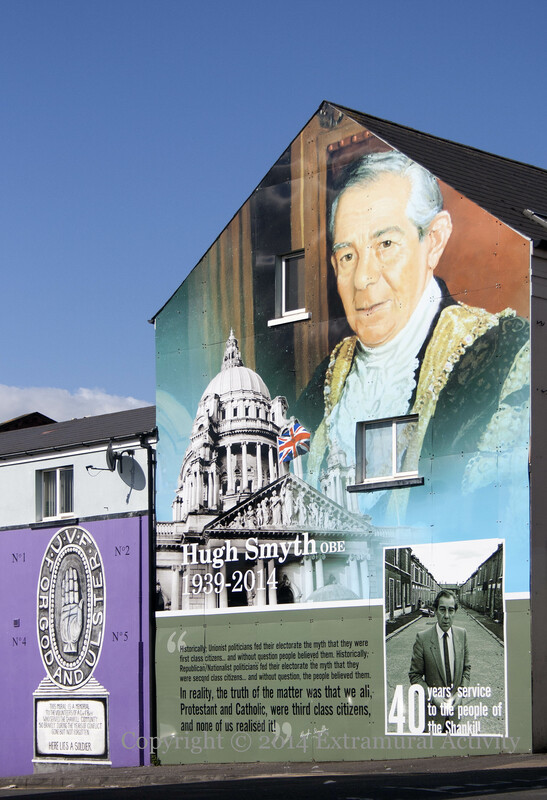 Hugh Smyth OBE was born in the Woodvale area and represented the upper Shankill as an Independent Unionist and then a Progressive Unionist in Belfast City Council for forty-one years, until the year before his death in May 2014, including a term as Lord mayor in 1994-1995 – he is pictured in the main image (above) in his mayoral robes. The portrait on the right (shown solo below) was taken by Bobbie Hanvey and is kept in a Boston College archive; more from the archive of 50,000 images can be seen at BC.edu and on Flickr. As the quote (shown in the final image below) indicates, his politics were oriented towards the working class: “Historically, Unionist politicians fed their electorate the myth that they were first class citizens… and without question people believed them. Historically, Republican/Nationalist politicians fed their electorate the myth that they were second class citizens… and without question the people believed them. 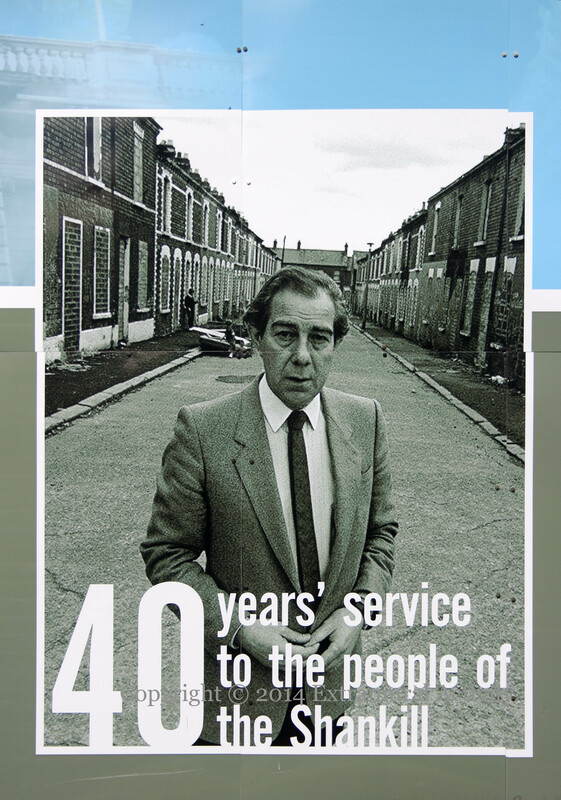 In reality, the truth of the matter was that we all, Protestant and Catholic, were third class citizen, and none of us realised it!” The board was officially launched on June 19th. Replaces 90 Years Of Resistance.